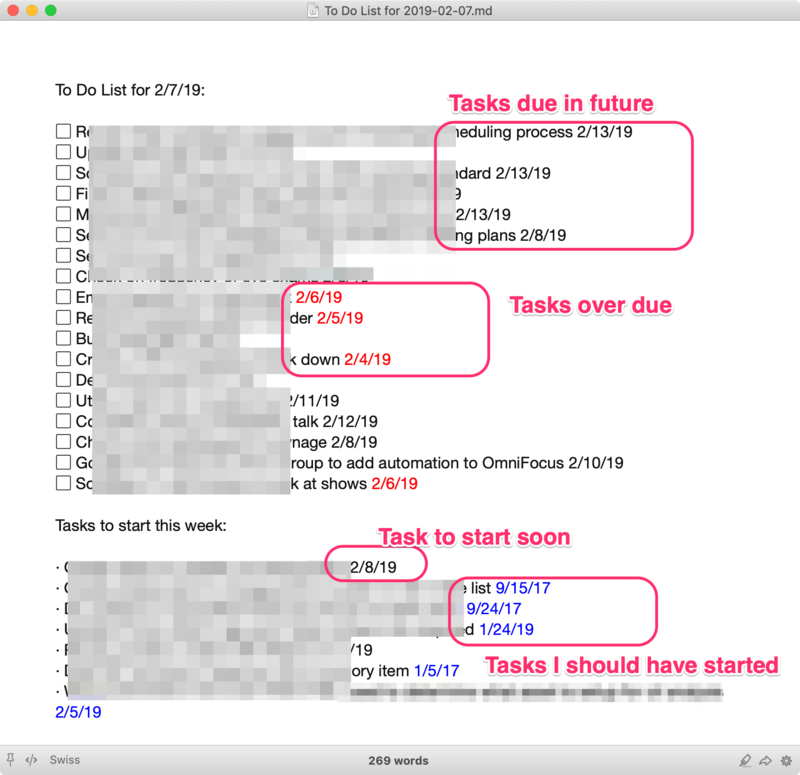 Because OmniFocus (OF) has shifted from using Contexts to Tags, it meant I needed to make a couple of quick edits to the original script. After I got the edits done I started to use the script and found I was starting to keep on top of what I should be working on. Automate the loading of the .md file into Marked. Separate active tasks that have a due date from tasks with just a start date. Add conditional formatting to the dates based on whether they are over due or not. Over the past couple of days I've tweaked the script to one I'm pretty happy with right now. 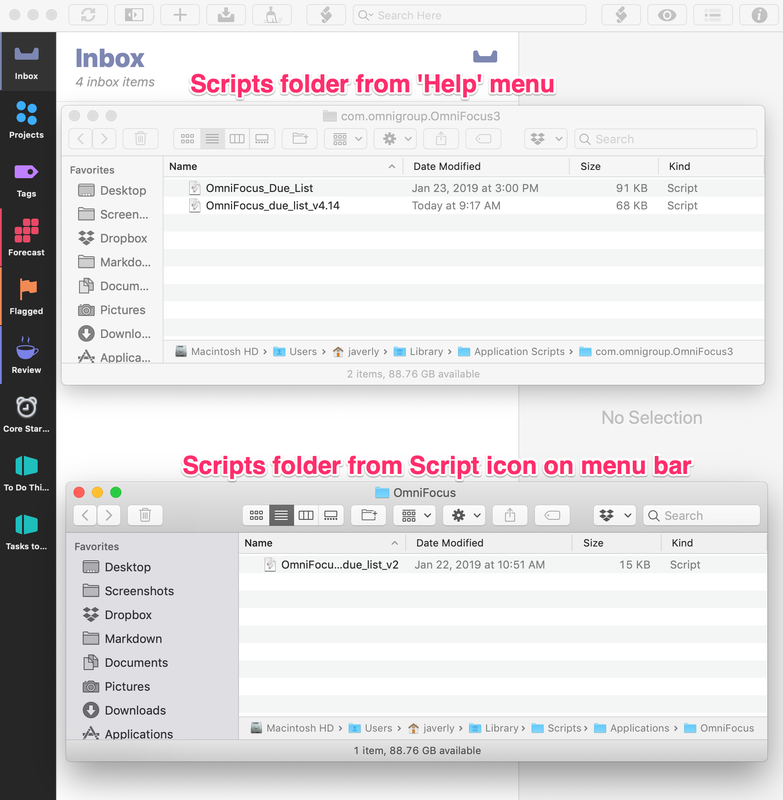 Like in previous versions of OmniFocus, there are two different script folders OF can access. These folders are not the same. You'll probably want to drop any updated scripts into the first option because those scripts can be customized by OmniFocus to include a button to run the script. Collect all tasks that are over due or due in the next 7 days. Collect all tasks I should have already started or should start in the next 7 days. Create a .md file with all these tasks. Open Marked with the task list .md file. The only thing I need to add to the script is to have Marked print the file after it opens.